Collect all the orders and reach 260000 points to complete the level. This level has easy difficulty but you need good trick to complete this level. For this level first try to play from middle and break the cake as cake will break then it will break all timer bomb. After try to make striped candy with colorbomb to complete the order with balancing the Odus owl. 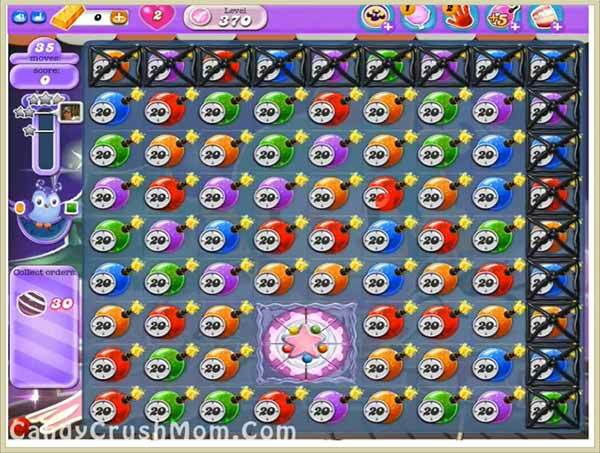 We completed this level with 562320 score using above strategy and luckily made colorbomb with striped candy combo that help to reach requirement before two moves with three star score at the end of the level.